Graham Veale is passionate about providing Christians with a defense against the “sneer pressure” of popular New Atheists such as scientist Richard Dawkins and comedian Ricky Gervais. 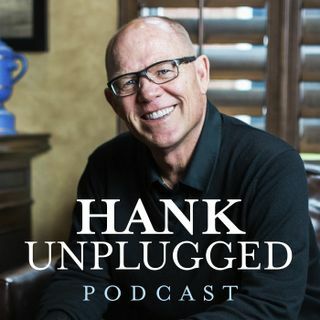 On this episode of Hank Unplugged, Hank and Graham discuss confronting New Atheism by being equipped with answers to defend the truth of Christianity. Topics discussed include: the three great apologetic issues (0:30); the hostile environment created by New Atheism, “sneer pressure” and the impact atheists ... See More such as Ricky Gervais have on the culture (4:30); teaching people to think critically by demonstrating it consistently in the way we live (8:30); New Atheism compared to Old Atheism (11:30); the positive relationship between Christianity and science (15:00); are many churches more concerned with entertaining rather than educating? (24:30); the need for Christians to live an authentic Christian life (30:30); Veale’s testimony and his passion for defending the truth of Christianity (35:30); the danger of thinking of Christianity as transactional rather than transformational (39:30); the Moral Argument for the existence of God (and how Richard Dawkins gets it wrong) (52:00); do most atheists embrace the logical implications of their worldview? (59:00); falsifying Dawkins (1:03:30); the Intelligent Design movement (1:09:30); drawing a correlation between New Atheism and the rise of social media platforms such as Twitter (1:14:00); and the importance of apologetics (1:24:00). Skip this. About 60 minutes with a guy showing his blatant ignorance of basic science. It gets rather tedious. There are apologets with higher entertainment values. Try out Ravi 'I am envious of Deepak Chopra' zacharias instead. He is of into Lapland as well but more entertain ing.